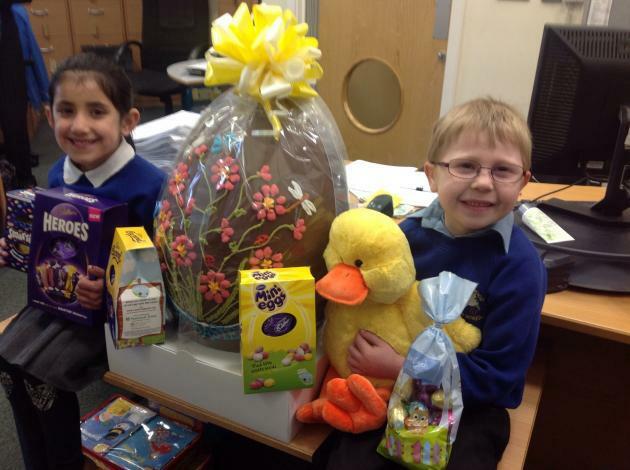 This week there are raffle tickets on sale for the giant Easter Egg that has been donated to school by Magna Foods. There are other prizes too, including a gorgeous fluffy chick and a range of chocolate goodies. Tickets are only 20p each and can be bought from the office.